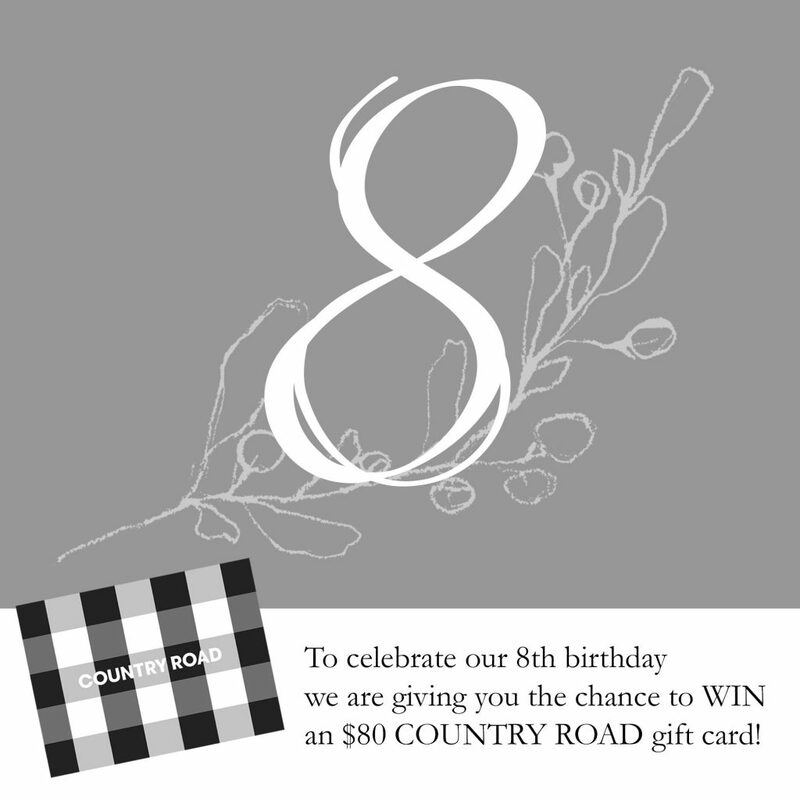 To celebrate our birthday we are giving you the chance to WIN AN $80 COUNTRY ROAD GIFT CARD! 1. Entry is open to Sydney, Australia residents only. Only one (1) entry per individual will be accepted. 2. Promotion commences 28/11/2018 and final entries close at midnight 17/12/2018. 3. To enter participants must follow the Sevenish Photography Page, tag three friends in the competition post and comment with their email address. 4. By entering the competition, you are agreeing to receive emails from Sevenish Photography. 5. The Prize is a Country Road gift card valued at $80. Prizes are not transferable or exchangeable and cannot be taken as cash. 6. Winners will be notified via our Instagram page on 17/12/2018.